Curse the founding fathers for somehow screwing up all our laws today so that it became illegal in some areas of the United States to mail booze across state lines: It has made this pocket of video-game PR almost lesser known to the point of complete obscurity. 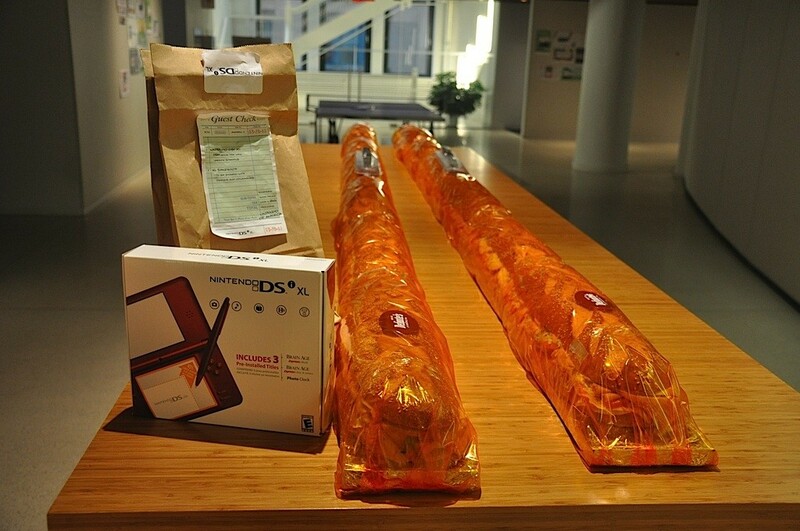 Game companies have gotten plenty creative over the years to wring ink out of media outlets about their products — Nintendo sending gargantuan sandwiches with the DSi XL comes to mind — but because of the aforementioned laws, game-affiliated liquor doesn’t go out as often. And even if it is sent out, it isn’t always necessarily written about. Pft, and they call themselves video-game journalists? Because the smell of booze reminds me of daddy, I went trudging through the Internets to dig up some of the most curious, most bizarre, and most bottled types of booze game companies sent out to help hype their games. Pour yourself a drink and enjoy. Some ships are christened with the errant shards of glass of a champagne bottle. 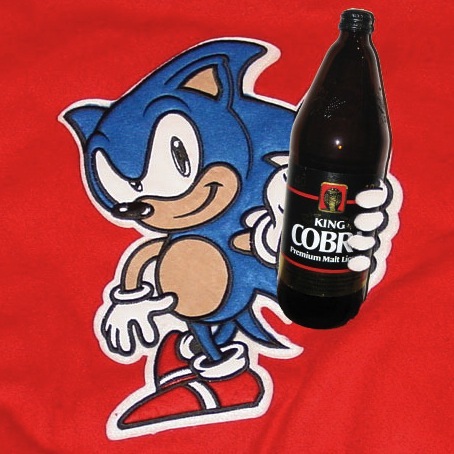 Sega’s final console was sent out to the market with a bottle of this stuff. As you can see, it has an inscription from Sega’s chairman, which tragically closes with this sentiment: “I sincerely hope you have the opportunity to enjoy both wine and Dreamcast in the near future.” Nowadays you can find an empty bottle of this for about a buck on eBay, and a no-longer-wanted Dreamcast for $20. And yet, Seaman still goes for about $100. That means that if Frasier Crane truly had discerning tastes, he would be playing Dreamcast and not stockpiling his precious sherry. 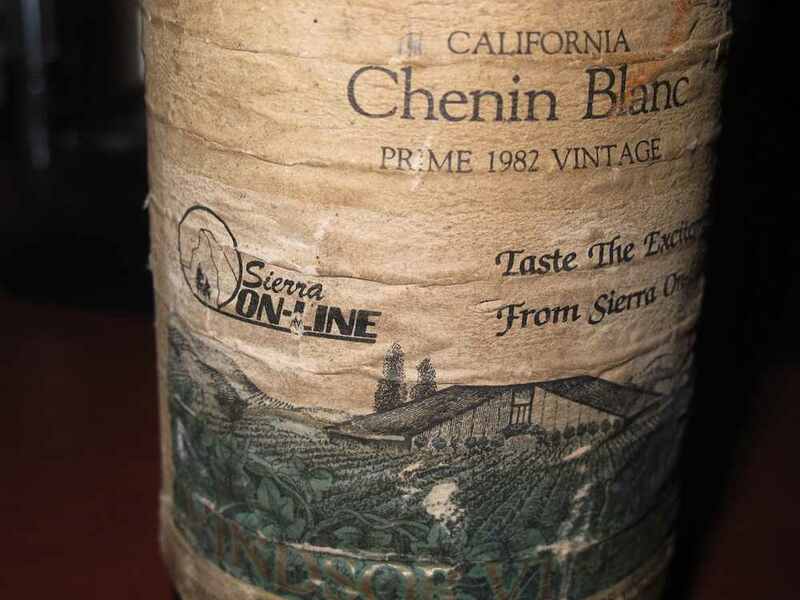 No matter how many times I zoom and enhance, I can’t discern what year or what type of wine this is other than a bold merlot. Other than Capcom PR confirming that, yes, this was sent out to promote Resident Evil way back when, they declined to comment further. The biohazard symbol is a strong argument for it being legit, too, since in Japan the series is called Biohazard. Another reason to believe this is also real: Capcom recently pulled an even stranger stunt to promote Resident Evil 6: This Time There Are Six Zombies by opening a butcher shop dealing in… strange meats. It’s getting a little tough to remember that Halo 4 is even a game! There’s a soundtrack promotion, a soundtrack remix promotion, and a planned special “Pimp my Warthog” episode of Pimp My Ride with Xzibit and guest host Bryan Cranston. Well, there’s also this: a line of “UNSC-approved inebriates.” They were slung at E3 this last summer at a Microsoft party. These sorts of things aren’t unusual at E3, but the reason I’m counting it is because it’s so damned exhaustive. There are six Halo 4 drinks. Marketing folks had to sit around and brainstorm hard on the names of these and their descriptions, so, it’s admissible here. If for no other reason than revealing that a Master Chief is “a brave alchemy of pomegranate liquor, gin, grapefruit juice, and a splash of club soda.” So that’s what’s inside his suit! Depending on how important a games writer you are, you either got the Saints Flow energy drink and the THQ GTA-style sandbox game, or you got all that and this Johnny Walker Black Label that had been rebranded as Johnny Gat Purple Label. It’s actually very clever for a lot of reasons, because at SR:T3‘s outset, your gang is a little disenchanted with being a beloved outfit who’s been selling out a bit too much with too many product endorsements and is otherwise universally beloved (it’s pretty funny; you get asked for autographs while you’re robbing a bank). Even if you don’t know that, you can still just imagine it’s what Barney the dinosaur would drink. Gamers love to be just like the characters in the games they play and the pop-culture figures they idolize, don’t they? This isn’t just a hypothetical question. It’s a proven fact (Exhibit A). Well, then, it follows that we would love to drink what our game characters drink. That’s where this “Murder of Crows” statuette/bottle developer Irrational sent around comes in. It’s just like the one protagonist Booker DeWitt drank in the preview of Infinite. I didn’t get one, and my colleagues who did wound up giving it away, but it did have something alcoholic in it. And if you don’t believe me, what could go in this place is this bottle of Worley Winery bottle of Arcadia that most definitely had booze in it — from another Bioshock game. This is the most mysterious entry on the list. Not much is known about it; an image of this recently surfaced on the Internet. If I had to make an educated guess, I would say it’s poison unless you charmed the vertical rabbit corkscrew bottle opener of Daventry when you met the ogre’s grand daughter after you emerge from the desert but before you repair the glass piano.